Since its creation in 2012, #GivingTuesday has been a global day that celebrates and encourages giving back. As the hashtag implies, #GivingTuesday relies heavily on social media as a platform to spread the word and encourage generosity. Each year, #GivingTuesday takes place on the Tuesday after Thanksgiving, with this year’s celebration falling on November 27. The AIA is an organization deeply committed to supporting archaeologists in their research and the ethical practice of archaeology. The AIA seeks to educate people about the significance of archaeological discovery and advocates for the preservation of the world’s archaeological heritage. It is an important mission, and there are many ways we work to make a difference. We offer free public lectures as part of our Lecture Program providing thousands of individuals the chance to hear about the latest archaeological research and discoveries. 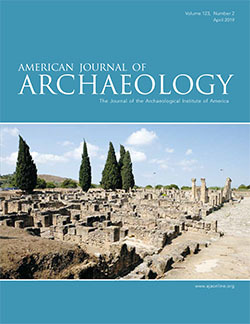 We make available fellowships, scholarships, and grants to students and scholars that help defray the costs associated with participating in excavations and the publication of research. The AIA awards Site Preservation Grants to aid in the protection and preservation of endangered sites and to encourage archaeologists to engage in public outreach and education efforts. These programs and others are funded with help from all of you, our generous members and donors. We know this can be a busy time of year for many people. Thanksgiving, Black Friday, and Cyber Monday are all fast approaching, but we hope you will consider making a difference by taking part in this global day of giving. You can support the AIA on #GivingTuesday by making an online donation.